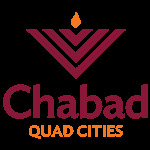 Children - Chabad Lubavitch of the Quad Cities. Through an exciting mix of hands-on programming, children in at Chabad learn the importance of kindness and good deeds, and experience fun and interactive programs about Jewish history, holidays and practices. Once a month the club meets to have a good time doing special crafts & being entertained. A new theme each month.